Welcome to Impact Garage Services West London’s leading Vehicle Repair Specialists. 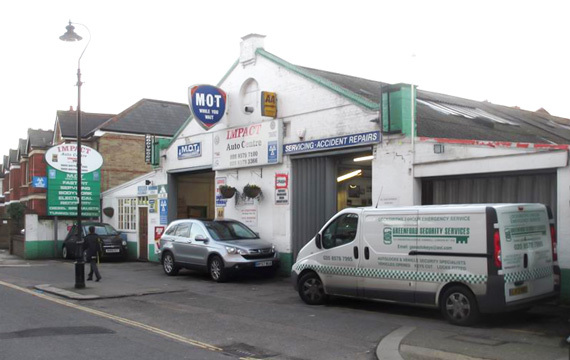 We provide MOT Testing, Servicing and all other repairs for cars, 4x4s, small vans and motor homes at our West Ealing Branch. You can book online into our live online booking diary by clicking the appropriate link below. Select the date and time to suit you, it only takes a couple of minutes. Impact garage offers FREE checks for everybody. Make sure your vehicle is ready for the cold winter weather and that it’s safe and sound for your family’s summer holiday. For more information on this and details of our other vehicle servicing options VISIT OUR SERVICING PAGE. Quality, professional servicing in London. Select a Time and Date from our Live Booking Diary.